Big, Fresh, Juicy Blubrry News. Ok. We can’t keep it a secret a second longer, so pardon our excitement while we nerd out for a sec. We’ve been hinting at it, and there’s been buzz about it. But we are pleased to finally–and officially–announce that Blubrry has become the first ever podcast hosting company to receive Interactive Advertising Bureau Tech Lab (IAB) Podcast Measurement Certification. Our podcast statistics are now officially certified to the highest set of industry standards. We’re officially official. 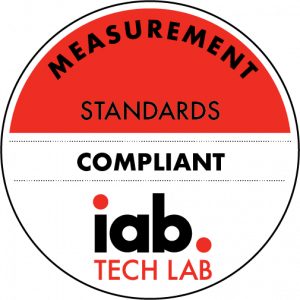 The IAB Tech Lab certification is important because it gives podcast hosting companies, media buyers, and podcasters the confidence that the numbers they’re seeing are accurate to the highest level in the industry. Meaning they can make more informed decisions about advertising & monetization. We were one of several organizations who took part in the auditing and certification process. It was extensive. It was exhaustive. It was independent. And it was based on the standards within the IAB’s Podcast Measurement Guidelines. Plus, we’re in good company: National Public Radio (NPR) was the only other organization certified as of this posting. As part of IAB’s Podcast Technical Working Group, Blubrry and 31 other podcast and traditional media companies contributed to the Podcast Measurement Guidelines, released in December 2017, that provide strict rules and guidelines as the basis of certification, including downloads, listens, advertising delivery and advertisement play. As of today, Blubrry Enterprise customers can label their podcast statistics as Certified IAB Compliant. Blubrry Hosting customers and those shows using the Blubrry redirect with other platforms will quickly follow as outlined in this blog post. Blubrry customers should expect no changes to their metrics as the certified platform system has been in place since 2013. Yeah. You read that right. Since 2013. Even when we weren’t certified, we still built a solid podcast stats platform you trust to accurately portray your audience and their consumption of your content. What’s more, and unlike other providers, Blubrry podcast statistics are platform agnostic. 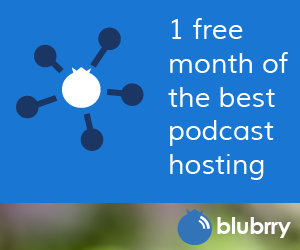 Which means our podcast stats services aren’t limited just to Blubrry hosting customers. Although, more than 50,000 podcasters have trusted Blubrry podcast stats for the past decade plus– whether they host their podcast with us or not. Thanks, as always, for your trust in and support of Blubrry. We’re in this because we love podcasting, and we want podcasters to have the best tools available to grow your audience. Keep up the hard work (we will too!). What are Podcast Download Statistics and Why Do You Need Them? Podcast Media Download Statistics, more commonly referred to as “podcast stats,” track how many times your podcast episode is downloaded, where it is downloaded from, on which devices/platforms, when, etc. Why do you need podcast stats? Why do you need a speedometer, gas gauge, or an odometer (or GPS) in your car? So you know how fast you’re traveling, how far away you are from your destination, when you need to refuel, and other such considerations. Similarly, podcast stats tell you how your content is performing, when/where/how it’s being consumed, and — over time — shows trends and patterns of behavior. ALL of which you should be using to build your audience and improve your podcast. Data. Data alone is great. Geography, devices, apps, platforms, when, & which episodes are popular. Blubrry’s Podcast Download Statistics platform is one of the most robust, accurate, and stable podcast stats platform available today. In fact, some of our original algorithms (from 2006!) are still in use today. And a lot goes into determining what counts as a download and what doesn’t which was just validated by IAB Auditors in our bid for IAB Certification. 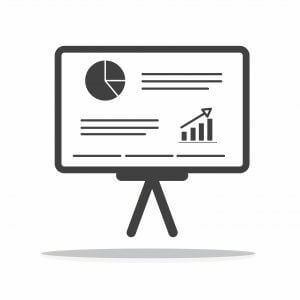 Some deep dives during that audit process have led us to highly recommend some guidelines we’ve developed to help you get the most accurate podcast stats. But data alone is only half the battle. You also need to develop your sense of intuition. 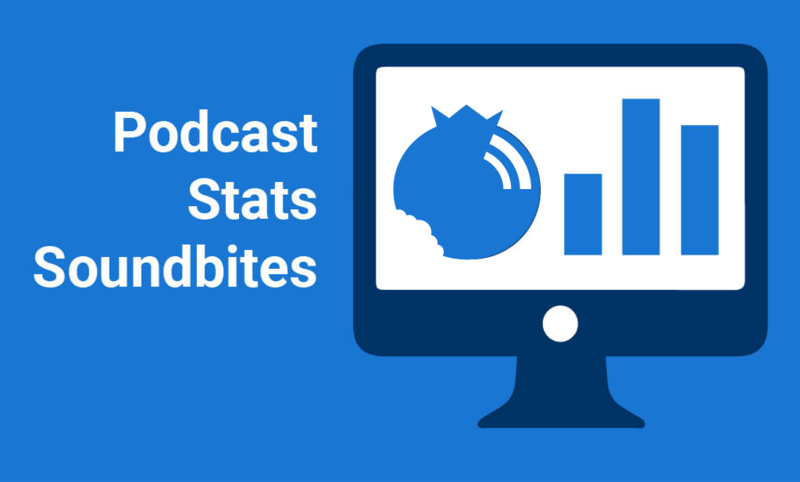 Data + Intuition = Podcast Stats Awesomeness. Podcast download statistics alone aren’t enough. Sacrilege and blasphemy, seeing as how we are purveyors of podcast media download statistics, right? Wrong. We want to make sure you know how to get the most out of the powerful podcasting tools we build for you. Data alone is like buying the ingredients for a cake: if you don’t follow a recipe and put the ingredients together in the right way, you could end up with… well, with something gross. So, how can you become the Julia Childs of podcast stats? A few simple tips will help get you on your way. Know your platform. Click. Poke around. Read the Podcast Media Download Statistics FAQs. Learn the tool inside and out so you know how best to use it. There is a fantastic demo of our Podcast Stats platform available as well. And, as always, Blubrry customers receive complimentary phone and/or video chat support from real live humans, so don’t be shy. Reach out and say hello, we’d love to help. Wondering is wonderful. Put your two-year-old-you hat on: your favorite question was probably “why?” Why is the sky blue? Why do birds sing? Why? Why? Why? Similarly, as a podcaster reviewing your podcast stats, you should always wonder why: why did 20% more people download my most recent episode? Why was there a sudden drop off in Ohio? Wow! 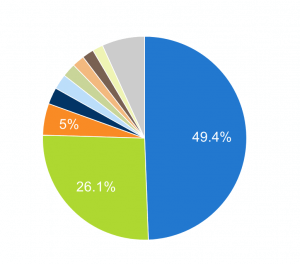 Most of my audience is on Android… I wonder why? Don’t hyperventilate, hypothesize. Seeing a trend? Whether it’s up or down, don’t freak out. Take a step back, ask yourself why this might be the case, and come up with some hypotheses — ideas to explain what you’re observing. Testing, testing. Once you’ve wondered and hypothesized, it’s time to test. What are some things you could test? Could you run a very targeted social ad campaign to your Ohio audience (you can geo-target both paid and non-paid posts on Facebook, so you don’t necessarily have to spend money)? Could you do a follow-up blog post (see our post on repurposing podcast content) on a similar topic, but make it more immediately relevant? Could you ask your audience for input? 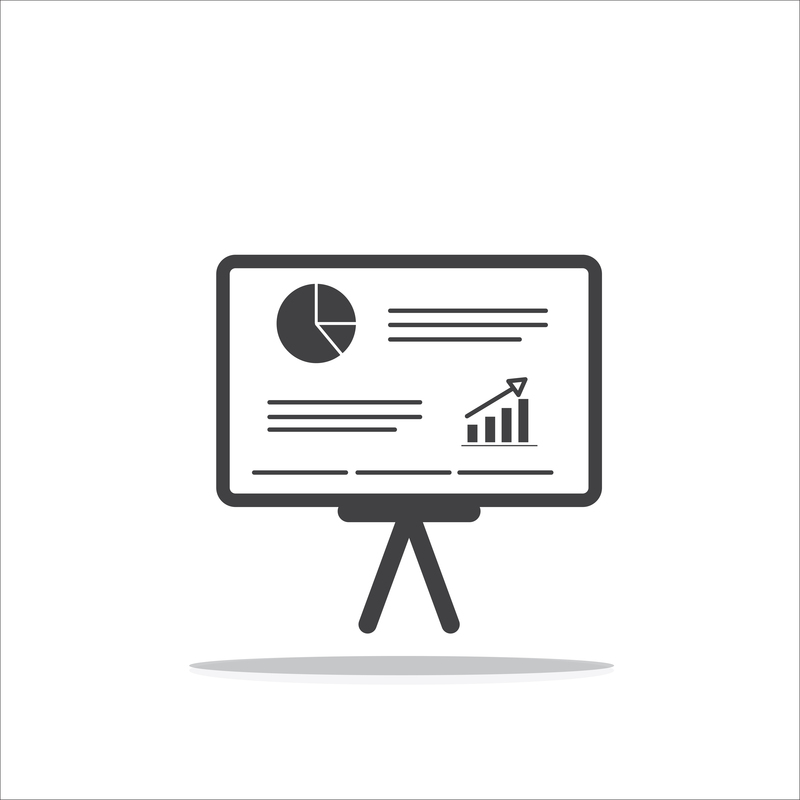 Use demographic data you have collected through the free Blubrry Audience Survey tool to help complete the picture of your audience makeup. There are certainly more things to keep in mind when analyzing your podcast media download stats. But we wanted to get a few of the high-level, most impactful tips up. How do you analyze your podcast stats? Any tips you’d like to share? Let us know! Blubrry’s customers already know that we have the best podcast statistics around. And in an effort to ensure that our users are always up-to-date with the most robust and useful information available, we’ve just introduced two new features: more in-depth international region reporting, and the ability to detect 7 new clients delivering your podcast’s listeners. What does that mean for the over 45,000 shows that use our stats? From now on, Blubrry stats users will be able to take an even closer look at their international listener information, with the addition of regional reporting for Canada, Great Britain, and Brazil. While those countries once showed only summarized data, now you’ll get more localized information: for example, you’ll be able to see how many of your Canadian listeners are listening from Ontario versus British Columbia. “This addition will give podcasters deeper data,” explains Blubrry CEO, Todd Cochrane. “We update stats on a regular basis, but this change gives users more granularity of where their media is being consumed.” In particular, this information is useful for podcasts advertising in those areas. 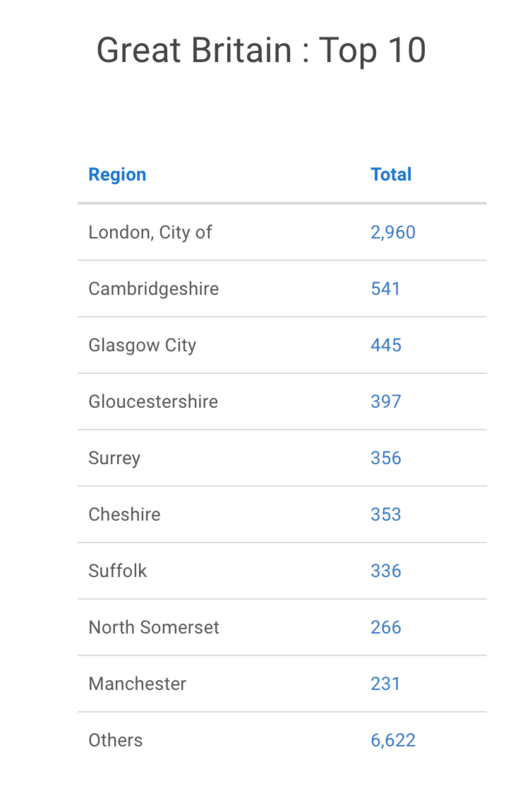 An example of the kind of in-depth regional data now offered via Blubrry Pro Stats. We have added a category called Intelligent Personal Assistants, which are the engines that process your requests via the smart devices they’re connected to, explains Angelo Mandato, CIO of Blubrry. “An Intelligent Personal Assistant can reside in smart TV remotes, thermostats, your mobile devices, smart speakers, etc.” As other Intelligent Personal Assistants, like Google Assistant and Siri, reach more than a 1% market share, we at Blubrry will begin adding them as an available client for our Pro Stats users. While client reporting is available to both Pro Stats and free stats users (available when you add your podcast to our directory), free stats only show the top 10 clients, so it’s unlikely you’ll see them show up unless you’ve gone Pro. Curious how many people are listening to your podcast via an IPA like Alexa or Echo? Consider upgrading to Pro Stats today. Soundclound may be in trouble, having a Plan B for your podcast if things go sideways, Apple’s new tags and stats and lastly, speeding up support if you’re a Blubrry customer. All of that with Mike and Todd, covering a whole plethora of topics. Thanks for listening to the show and please subscribe on PowerPressPodcast.com. Soundcloud – Rumors they are deferring salary reviews indefinitely. Plan B – Have one, no matter who you’re hosting with. Apple’s new RSS tags and stats – Coming in iOS 11’s Podcast app update: What is does and does not do (such as giving you stats for the rest of your listeners, like Android or 3rd part apps). Global stats – Blubrry’s insight. Blubrry Stats Refresh! – It’s finalllly working for our pro stats customers. Help us help you! – You can speed up your support time by telling us your feed address and Blubrry account email. Linking! – Connect your PowerPress / WordPress site to Blubrry (including your PowerPress Site). This also helps us help you if there is a problem. Bonus – you’re included in the Blubrry directory, the largest in the world. Replacing a file – On our CDN a file is propogated to data centers all over the world. If you replace a file on our hosting server, it can take time to get the new version everywhere. To speed this process up, when you replace a file email support@blubrry.com so we can refresh the cache. That helps the CDN get the file to everyone quicker. Support hours – Our main hours are 9-5 ET. And remember our advice, provide the following: File name, feed, and Blubrry account email. We’ll find everything much faster.